The Dropsafe Barrier system is designed to prevent objects from becoming a drop hazard by mitigating the risk of dropped objects falling at height. 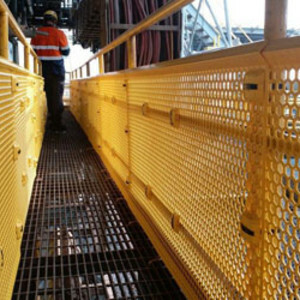 Using a universal attaching system, the Dropsafe Barrier panels are attached along the inside of guard railing of walkways, stairways, conveyors and access ways of permanent and temporary structures such as scaffolding and gangways. 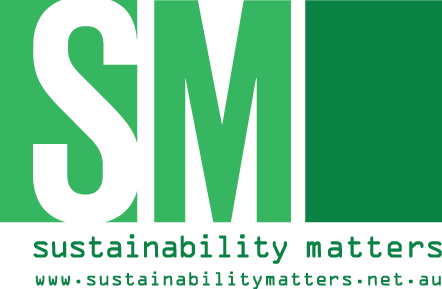 The system is third-party tested and certified, including being tested to CAT5 standards in 250 km/h winds, as well as undergoing UV ageing and weathering tests. 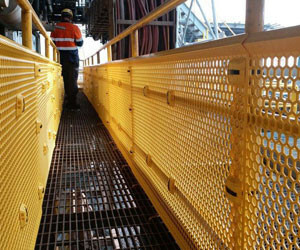 Designed for permanent and temporary use, the Dropsafe Barrier system can help contain items such as tools, water bottles, hard hats, two-way radios, shackles and maintenance equipment from falling through open guard railing, stairways and elevated work platforms. I am interested in Dropsafe Barrier dropped object barrier system .